Georgia’s Systems of Continuous Improvement framework (pictured below) focuses on systems and structures (the “what”) that must be in place for sustained improvement in student outcomes. The framework utilizes a problem-solving model (the “how”) to provide a clear process to identify improvement needs, plan for improvement, and implement, monitor, and evaluate the improvement efforts. Coweta County School System is also utilizing this improvement framework to guide our improvement efforts this year. 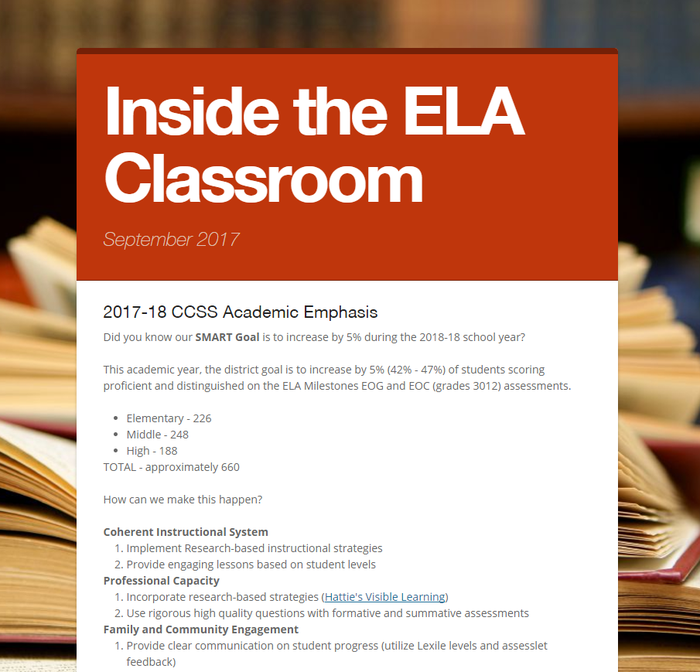 By clicking on the text below (Coherent Instructional System), you can access additional information about this component of the improvement process. Open eBooks is an app containing thousands of popular and award-winning titles that are free for children from in-need households. The goal of Open eBooks is to encourage a love of reading and to serve as a bridge to reading for children. 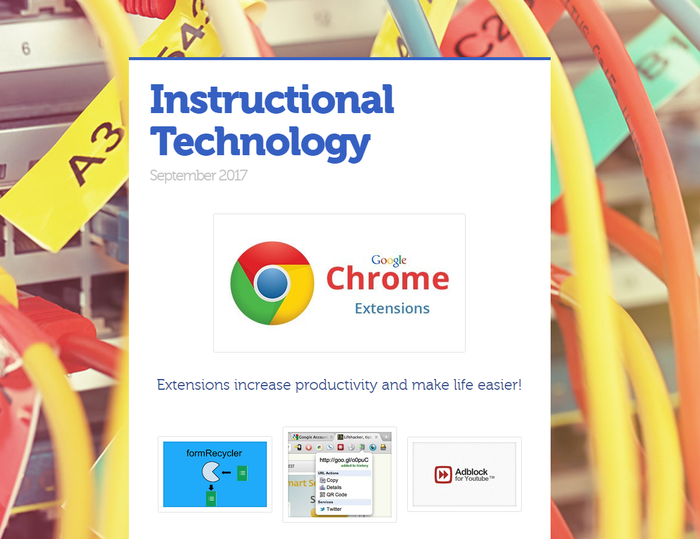 Please visit our new Instructional Technology Website designed to provide help documents and videos regarding all things for classroom technology. Please email john.vaughn@cowetaschools.net if you have any suggestions or would like to see anything added. Thursday, September 14 - East Coweta High, 4 - 5 p.m.
Teachers will have the opportunity to discuss progress on pacing guides and share resources and instructional strategies at the first district-wide high school math meeting at East Coweta High School. Participants are asked to bring their Chromebooks to the session. Tuesday, September 19, 2:50 - 3:30 p.m.
John Hattie’s research shows that teacher clarity has an effect size of 0.75. 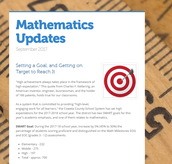 This session for K-2 teachers and administrators will look at using learning targets to help achieve that clarity. 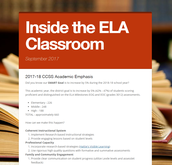 Register by 4 p.m. on Sept. 18, 2017, at https://goo.gl/forms/ALdVpw1T93Ktm4tv1to receive a link to join session. Thursday, September 21, 2:50 - 3:30 p.m.
John Hattie’s research shows that teacher clarity has an effect size of 0.75. 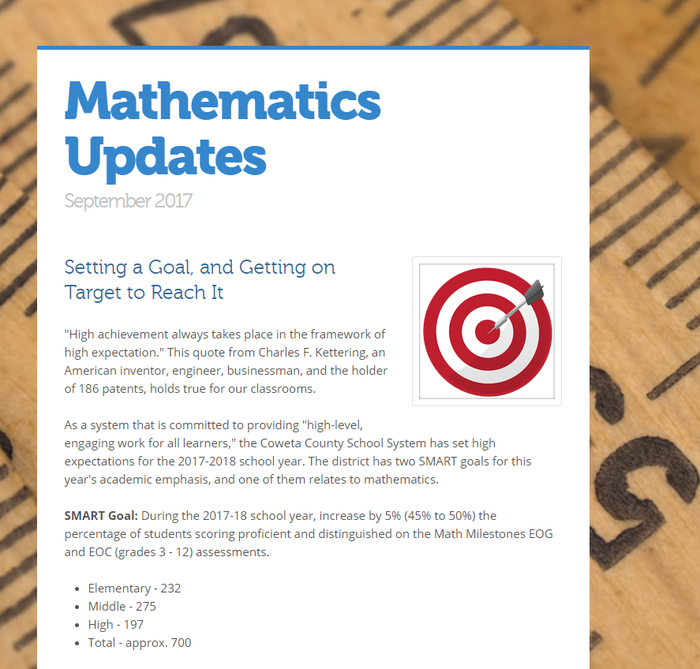 This session for grades 3-5 teachers and administrators will look at using learning targets to help achieve that clarity. Register by 4 p.m. on Sept. 20, 2017, at https://goo.gl/forms/Lm25Zz9BhPfteWBp1 to receive a link to join session. Wednesday, September 27 - East Coweta Middle, 4 - 5 p.m.
Learning activities with pentominoes reinforce and improve flexible thinking, spatial skills, logical thinking, and deductive reasoning while also teaching middle grades math content. This session will focus on ways pentominoes can engage students and develop critical thinking. The Coweta County School District strives to maintain a safe and healthy school environment. All schools within the District will promote mutual respect, tolerance, and acceptance among students, staff, and volunteers. Behavior that infringes on the safety of any student, staff, or volunteer will not be tolerated. Coweta County will have 29 PBIS schools as of fall 2017. PBIS is a research-based framework that helps to support effective learning environments for students. 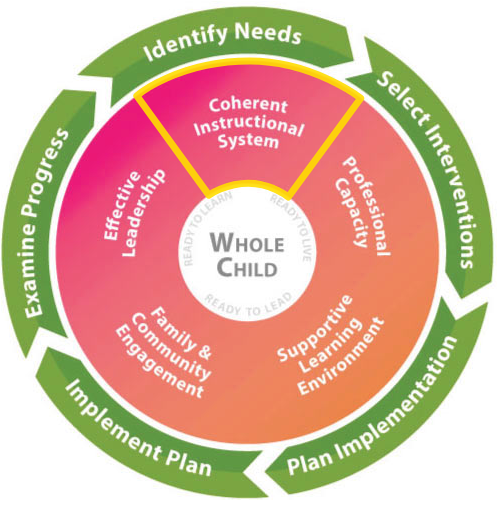 This framework has been proven to have a positive effect on academic performance, school attendance and student behavior. Many of our PBIS schools have seen a significant decrease in discipline referrals as a result of implementing this framework. The Georgia Department of Education welcomes your feedback and comments regarding a survey opportunity for the review of the Dance and Music Georgia Performance Standards (GPS). This survey feedback will be used to inform the development of Dance and Music Georgia Standards of Excellence (GSE). The survey will be posted for 30 days beginning on August 14, 2017, and close on September 12, 2107, at 5:00 p.m. EDT. We ask for your assistance in communicating this survey opportunity to your Dance and Music teachers, administrators, parents, and other education stakeholders. The link below will provide access to the standards and survey. Thank you for your assistance in the standards revision process for Dance and Music. If you need additional information, please contact Jessica Booth, Fine Arts Program Specialist, at jbooth@doe.k12.ga.us.